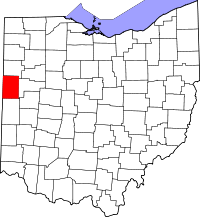 To obtain information on how to get vital records from Mercer County, Ohio, there are several websites that can be used to do so. The Mercer County website http://home.mchsi.com/~ohiodesch/ and the Ohio Office of Vital Statistics http://www.odh.ohio.gov/vitalstatistics/vitalstats.aspx are two great websites that provide you with address information and direction on how to apply for marriage records, death records and birth records. However, you can not make a request online through those websites. The VitalChek website http://vitalchel.com offers services that will allow you to make a request online for certified copies of birth certificates and death certificates. Please note that online requests through VitalChek may incur additional fees.